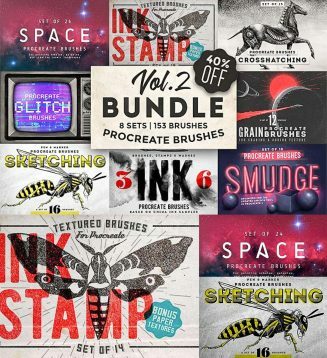 Set of 6 collections of brushes for Procreate. These brushes are compatible only with the iOS app Procreate for iPad. They won’t work in Photoshop or other digital drawing/editing softwares. File format: .brush for ios or other software. 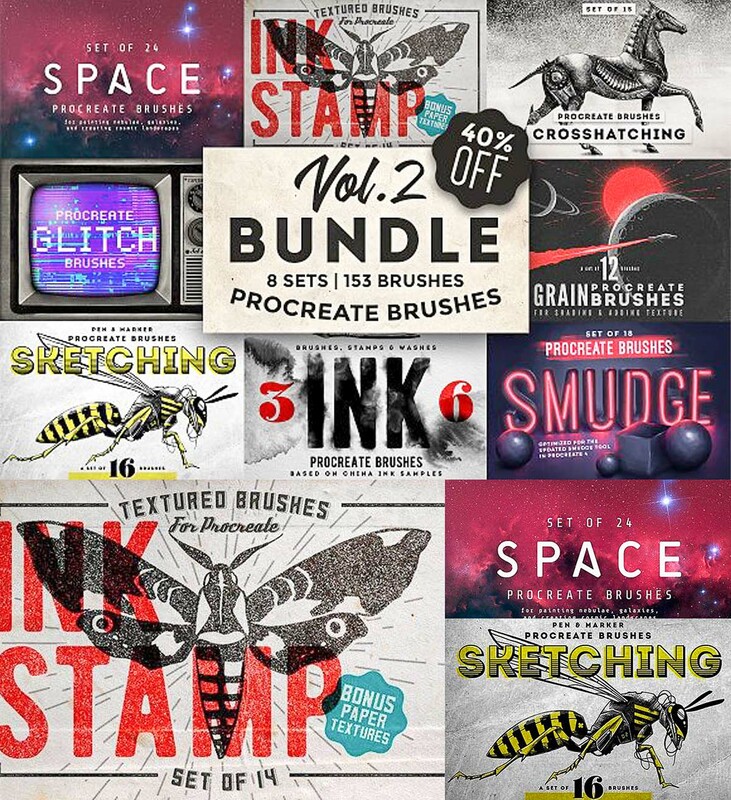 Tags: brush, glitch, illustration, ink, iPad, procreate, sketching, space, stamp.